Suzanne Freeman joined KCHC’s Family Medicine Department as Triage Nurse in January 2013. 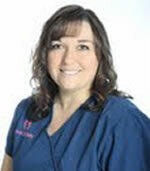 She has been working as a Registered Nurse for over 20 years. She has been a Lenoir County resident since the age of 5. She is married and has 6 children.